Below is a recommended air chart based on rider weight. Remember that these are only starting points and adjustments will vary based on rider ability, trail conditions, frame design, and personal preference. After you are done setting up your suspension according to the recommended base settings, check your sag to make sure you are within the recommended sag settings. 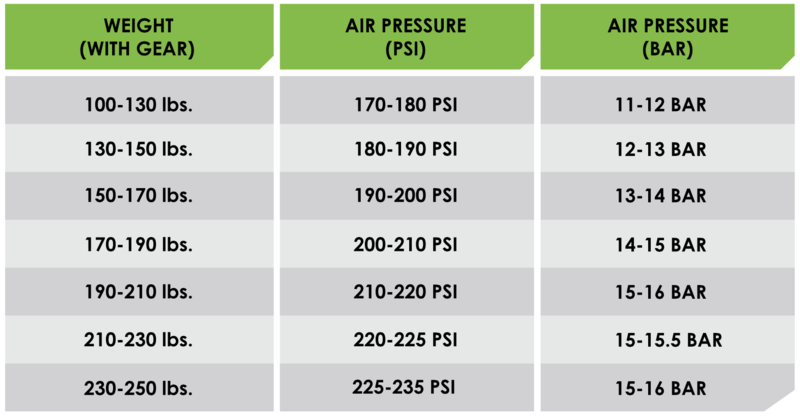 It’s important to keep in mind that air pressures will vary depending on the leverage rate of your frame. This is just a starting point until you check your SAG.